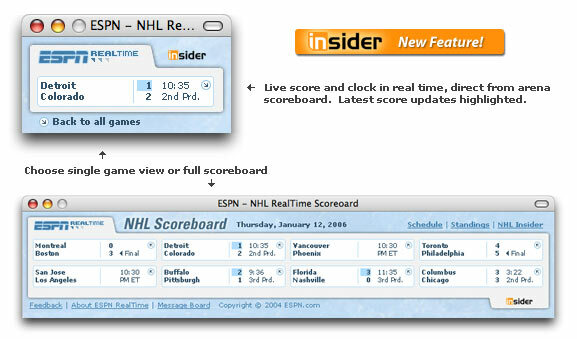 Insider's RealTime desktop scoreboard ... Get scores discreetly on your desktop, updated instantly with NO refreshing. A NEW feature available through ESPN Insider. For detailed information about this application, see the FAQ page.